Anne Steele is a multi-award winning singer/songwriter from NYC, who released her brand new EP entitled Made Out Of Stars a few weeks ago on the 2nd of January. This EP is full of contemporary love songs and rhythmic symmetries, leaving an impact to listeners all over the world, both lyrically and musically. “Obsessed“, the first track on Anne Steele’s Made Out Of Stars EP is a girly song about love and romance. It reminds us of those childhood essences and reminiscences, but also has the power to make you smile while hearing it and remember how it feels when you are falling in love – when everything is great and you are kind of obsessed with everything the other person does, and think that everything is just perfect. On “Better“, the melodies are turned into a zestfully feel and candy-coating vibrations, where the drum beats are as loud as needed, with the vocals breaking through to tell a story about how love influences us all to do better, and sometimes, the best way to get over bitterness is to write yourself a love letter. With Ms. Steele’s interpretation of the reasons why we may be writing that letter, it feels just right and the best thing to nourish our soul with. The EP’s third track “Love Somebody” is a provoking and mesmerizing love ballad with its unique lyricism. It is like giving a poem an interesting twist with a music groove, by putting a unique music soundbed to elevate it even more. The outcome is truly amazing and full of lyrical images for all of us to dive into and chill out with. The following track “I Miss Those Days” is inspired by the lust for those innocent days when we were young and making our first steps into society. At first glance, it is all about the youthful memories but even though it has a niggle in it, that niggle is sweet and can touch different chords into our souls, and allow us reflect our own feelings about our own unique experiences in life while growing up with its fragility. The fifth track on the EP is a Nash Overstreet remix of a song titled “Love Can Take Us There” – Overstreet also helped co-produce and co-write the EP with Anne Steele and Shane Stevens. It’s a dynamic dance song making you want to dance and feel instant joy when hearing it, an elevating anthem which also underlines poignant messages about love and relationships. The original track was written by Steele after the 2016 Pulse Nightclub shooting in Orlando. “Everybody Wants To Rule The World” is an inventive cover of the Tears For Fears classic of the same name, and is as honest and impassioned as the original, but also as edgy and modernized for today’s music landscape as needed. Even though the music interventions were not that many, Anne Steele’s version brings a different feel, and with her poetic vocals, it can even be the best cover version of the song we have heard in a while now. Finally, you will be surprised by the bonus track – an acoustic version of the “Love Can take Us There” track in a very personal, thought-provoking ballad rendition. In my opinion, after the dance remix of the song previously heard in the EP, this acoustic version is the best closer to the EP we could have hoped for. Anne Steele’s Made Out of Stars EP is truly magnificent and as romantic and soft as needed to make you feel happy while listening to it, but also the record does make you think through your life, which may feel harsh sometimes, but some other times, it will feel amazing and full of joy and happiness, exactly how Anne Steele’s music feels like. 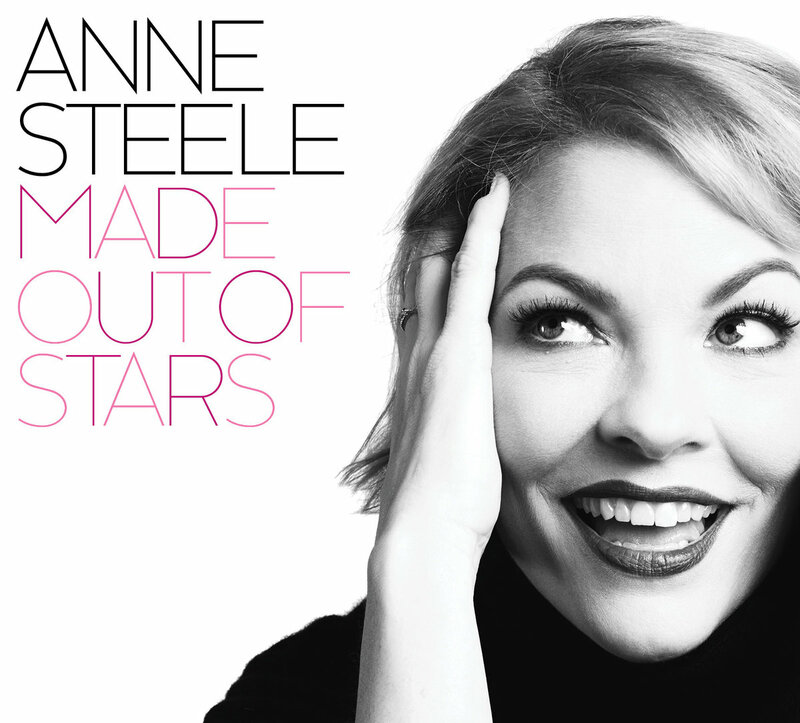 Purchase Anne Steele’s Made Out of Stars EP on iTunes here and stream it on Spotify below. Nancy Chalkopoulou is a blogger who has her own blog http://gettingbeautified.blogspot.gr/ but also collaborates with other sites as a writer for music, cinema and theater articles in Greece but also in England. She studied graphic design but also has knowledge of article structure and creative writing. Lived and studied in London and then following her career in Greece, she is now working for different companies as a free lance writer in topics that are related to every company’s profile.